Winter storm 'Hercules' followed by the "Polar Vortex" (what the hell is that anyway?) had my sister and I hungrier than orphans. No shade. By Sunday we had to bite the bullet and remove all the snow that blanketed the car. Thankfully the bit of rain we had 2 days prior didn't leave much work for us to do. We had to go over to The Costco and get our bi-monthly food staples. You know: oatmeal, cereal, snacks...etc. My favorite part though was getting to the meat section. I had been wanting to make a pork loin for a while and when I saw those babies in the meat department I had visions of meals for days! On Thursday I planned on making the loin in my trusty crock-pot. However in my haste of taking it down, the lid slid off and shattered into a 1000 pieces. I am still finding glass in my living room. Le sigh. But thanks to ole' google, I find that ole' Sears sells the lids separately. 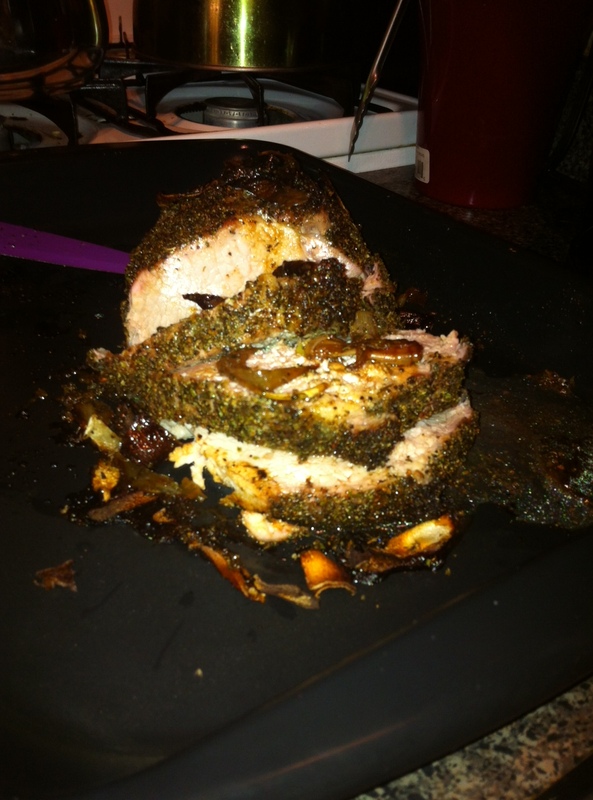 I prepared the rub with 2tbsp of: black pepper, ground rosemary, basil, parsley and oregano, followed by 1/4 tsp of salt, 1/4 tsp of garlic powder, 1 tbsp of soy sauce, and 1 tbsp of honey. 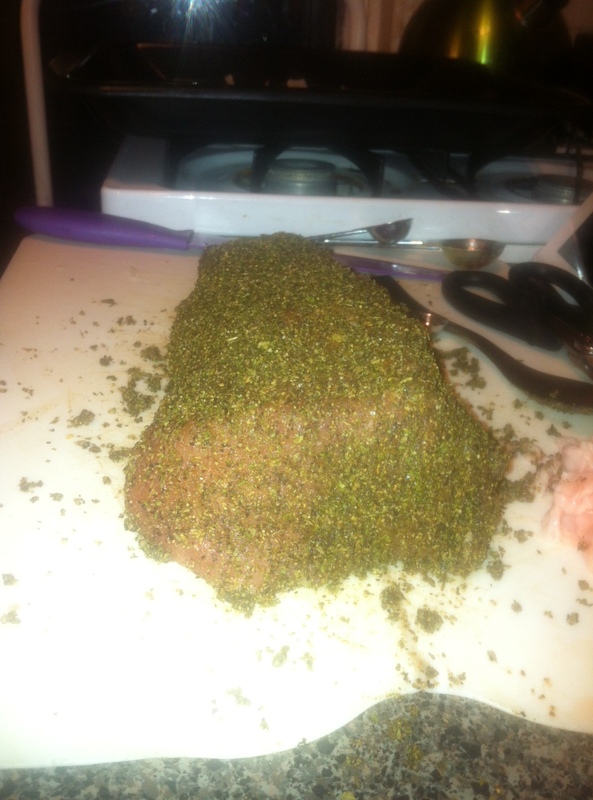 Mix well and rub onto meat. 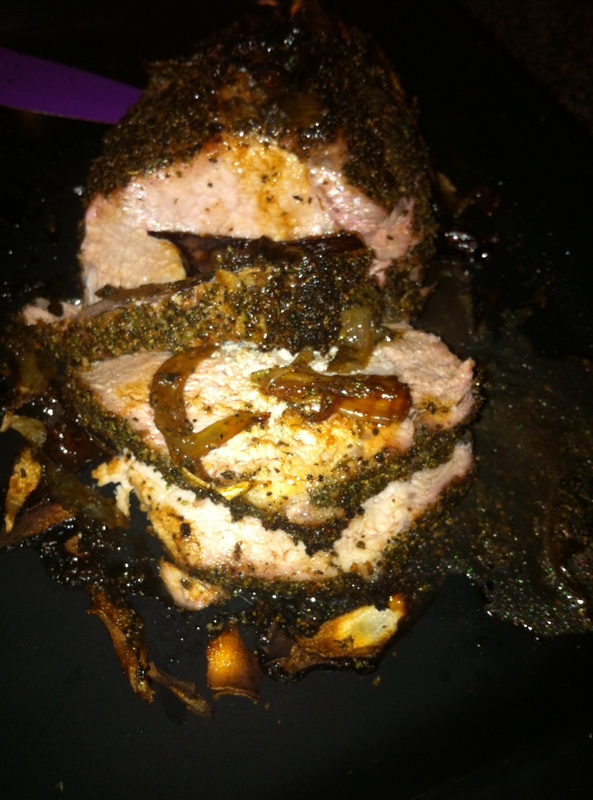 I placed the loin over a bed of spanish onions and placed it in a shallow dish in a pre-heated oven at 425 and roasted for 1hr and 15 min. 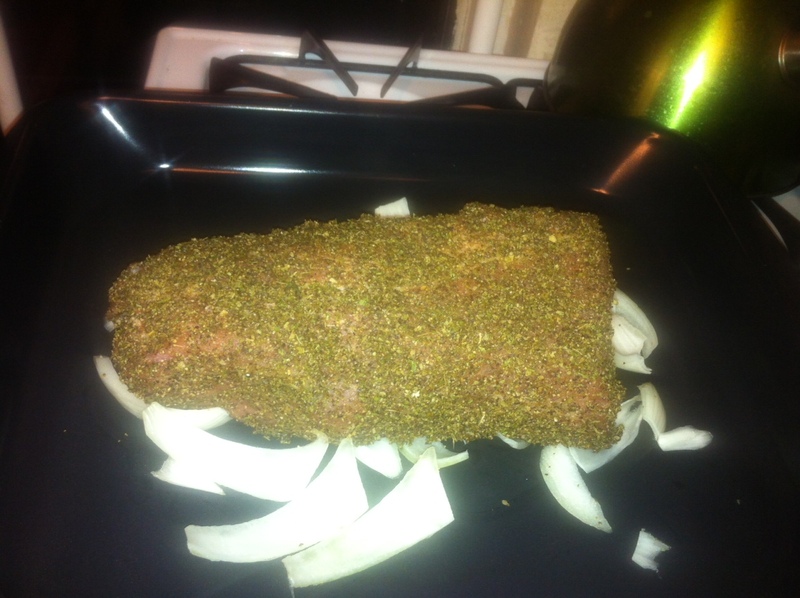 You don't want to over cook the loin, it should be slightly pink in the middle. Let it sit for 10 mins after removing from the oven for everything to settle, then slice and serve. Nothing short of amazing!!! I paired the loin with steamed broccoli and leftover baked brown rice, the best way to make brown rice IMO and we ate as usual like small hogs! Earlier in the week I decided to make some chicken breast and use the last of our sun-dried tomatoes. 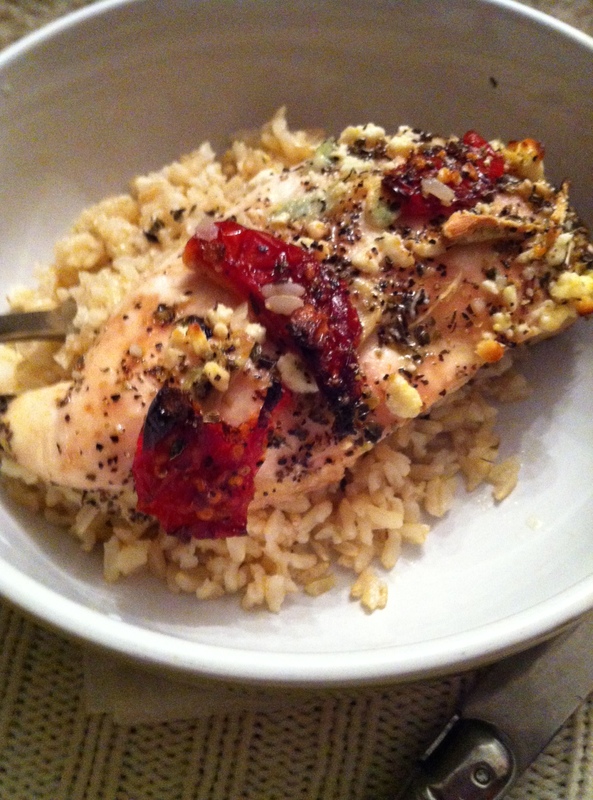 A simple baked chicken with garlic and sun-dried tomatoes over baked brown rice. Geesh, what will I come up with next?